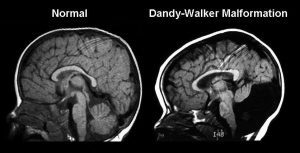 The Dandy–Walker malformation is a brain malformation with two common features: absent or underdevelopment of a structure called the cerebellar vermis and the presence of a cyst in the back portion of the brain (posterior fossa). The cyst involves fluid collecting in a structure referred to as the 4th ventricle. If the cerebellar vermis is completely absent (aplasia), the condition is referred to as a Dandy-Walker malformation. The 4th ventricle will be enlarged with a cyst-like appearance causing the posterior fossa (“back of brain”) to be enlarged as well. If the vermis is partially developed (hypoplasia), the term Dandy-Walker variant is applied. In the variant form, the posterior fossa is not enlarged. In either the Dandy-Walker malformation or variant, the brain’s fluid collecting system (called ventricles) may be enlarged (“dilated”) resulting in fluid accumulating in the brain (hydrocephalus). Some practitioners also include another condition, mega cisterna magna (mega meaning large), in the spectrum of Dandy-Walker variant. The cisterna magna is a space in the posterior fossa. Dandy–Walker malformation occurs in at least 1 out of every 5000 live born infants (Parisi and Dobyns, 2003). A incorrect diagnosis of the variant form can be made at gestational ages of less than 18 weeks because the cerebellar vermis may not yet be completely developed. The ultrasound criteria for the Dandy–Walker variant includes partial or complete absence of the cerebellar vermis with near normal-sized cerebellar hemispheres. True Dandy-Walker malformation (i.e., complete absence of the cerebellar vermis) can be seen early in the pregnancy. By ultrasound, there may be a connection visible between the 4th ventricle and the cisterna magna that resembles a cleft. A small cisterna magna might signal that a neural tube defect (i.e., spina bifida) is present. Hydrocephalus (“water in the brain”) is easily visible by ultrasound since the lateral ventricles will be markedly dilated. A detailed ultrasound survey of the fetal anatomy should be performed when a Dandy-Walker malformation or variant is suspected with particular focus on the detection of other brain abnormalities. The expectant mother should be offered an amniocentesis (a procedure in which a needle is inserted under ultrasound guidance to remove some amniotic fluid since the fluid contains fetal cells) to test for a chromosomal abnormality. The scientific literature indicates approximately 20-50% of these fetuses will have a genetic abnormality. The physicians might also recommend consultation with other specialists such as a pediatric neurologist, neurosurgeon or specialist in medical genetics. Unless significant hydrocephalus develops whereby the fetal head is too large to pass through the birth canal, the expectant mother should be able to attempt a vaginal delivery. A cesarean section may be recommended if other factors are present to indicate that a vaginal delivery is not a prudent option. There is no fetal intervention for Dandy–Walker malformation. The newborn should have a complete physical examination once stable after birth. An MRI (magnetic resonance imaging) is the imaging study that offers the best visualization of the structures in the posterior fossa. 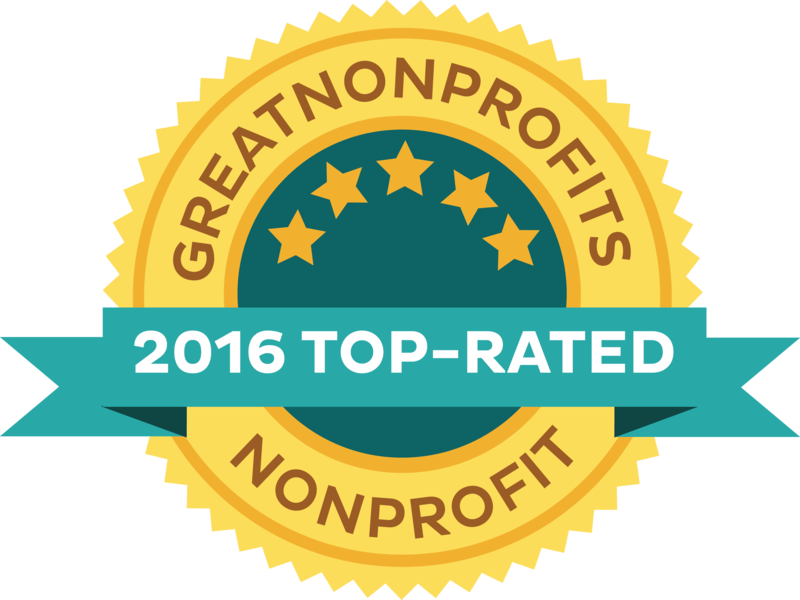 Hydrocephalus will be present in 75% of Dandy-Walker cases, malformation or variant, even if not present at birth. The fluid accumulation that comprises hydrocephalus causes compression of the fetal brain and enlargement of the skull. Either an ultrasound or an MRI of the newborn’s head will demonstrate if hydrocephalus is present. Historically, surgical treatment for Dandy–Walker malformation and its variants mostly involved draining the excess fluid present to relieve pressure on the brain. Fluid drainage is achieved by placing a ventriculoperitoneal shunt, a thin tube that diverts cerebrospinal fluid from the brain into the abdomen. Newer surgical techniques aim to decrease the need for shunt placement. Dandy–Walker malformation originates before the 6th or 7th week of early fetal (embryonic) development The Dandy-Walker malformation may occur in single-gene disorders, chromosomal abnormalities, environmentally induced malformation syndromes, or in conjunction with other abnormalities due to multiple factors. Consultation with a medical genetics specialist may help parents understand the risk for this condition to develop in future pregnancies. Parisi MA, Dobyns WB. Human malformations of the midbrain and hindbrain:review and proposed classification scheme. Mol Genet Metab.2003;80:36-53.